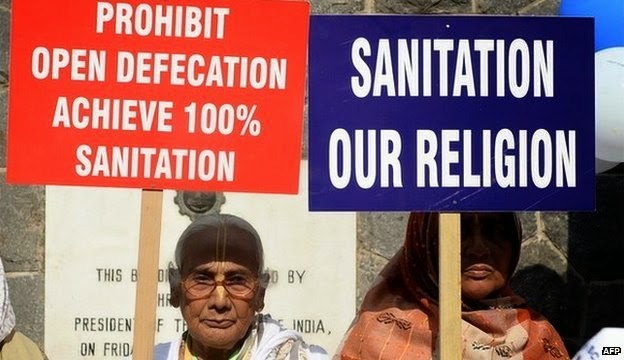 A district in eastern India has announced plans to publicly shame people who defecate in the open into using toilets, it's reported. Villages in the Nadia district in West Bengal are setting up "walls of shame" featuring the names and photos of people caught relieving themselves in public, according to a PTI news agency report on the NDTV website. Local authorities want villagers to form committees to monitor people who continue to defecate outdoors. The aim is to make it a "social crime", a local government official tells the agency. "This is being done to attach a sense of stigma and shame for those defecating in the open," PB Salim says, adding that while toilets have been built, persuading some people to use them is another matter.